We can’t think of anything more awesome than free stuff. 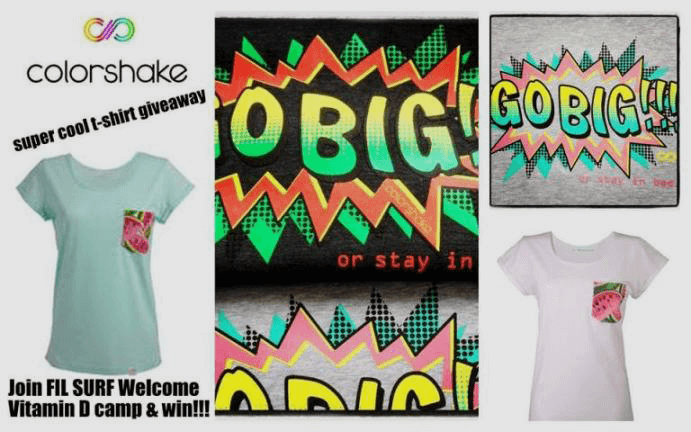 That’s why we’re giving away a super cool t-shirt from Colorshake! It’s easy to win it! Simply, join our Welcome vitamin D surf camp (20-26 April 2014) and have a chance to become a winner!!! The lucky winner will be announced on April, 20th.